Founded in 1937, ABOMA has effectively represented and served the high-rise residential property industry in the Chicago area. ABOMA is a not-for-profit Association whose officers and directors serve on a voluntary basis. 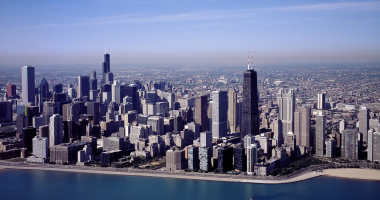 ABOMA Represents Over 600 High-Rise and Walk-Up Residential Buildings Located in the Chicago Area, containing over 400,000 units with over 600,000 owners and residences. Approximately 60% are Condominium or Co-operative in Nature and 40% are Rental Buildings. To facilitate the exchange of ideas regarding the design, construction, management, operations and maintenance of high-rise residential buildings. To render advice and assistance to its members with respect to personnel. To engage in collective bargaining on behalf of member buildings which have designated the Association as it's bargaining representative. To consider and act with reference to legislation, taxation and other public matters of interest to building managers and owners. To promote the welfare and interest of the members of the Association and industry by all lawful means. Covering janitorial employees in high-rise and walk-up residential buildings. Only Building Members may be part and party to the Labor Contracts negotiated by the Association. ABOMA programs and services are only available to ABOMA members.